We owe a big thank you to Van Gogh Tattoos in Grand Ledge organizing the “Art to Music” fundraiser on June 26 at Sanctuary Spirits.Four talented artists made art while the guests drank artisanal wine/spirits, ate barbeque, participated in a raffle, and listened to music. These four paintings are being silent auctioned and all proceeds will be donated to Blessings in a Backpack Grand Ledge, thanks to artists Ian Wallace, Sarah Fuller, Boris Gustav and Mat Grambau. Sanctuary Spirits graciously donated the event space for Art to Music. Stop by Sanctuary Spirits at 902 E. Saginaw (east of M100 on the north side of the street) and place your bid before July 4, 2015, at 4 pm. They are open Tues/Weds from 4-8; Thurs/Fri from 4-9; and 12-9 Saturdays. Blessings in a Backpack Grand Ledge works hard to ensure that the needy children in the Grand Ledge area have food to eat on the weekends during the school year, but we are always up for fun, too. Check out the pictures and video of two recent events held as fundraisers for us. Thanks to these great organizations providing us with sponsorship-level donations, the needy children of Grand Ledge will have weekend food during the 2015-16 school year. More fun is on the way! Join us at the upcoming “Art to Music” fundraiser that Van Gogh Tattoos is hosting for us at Sanctuary Spirits on June 26 from 6-9 pm. 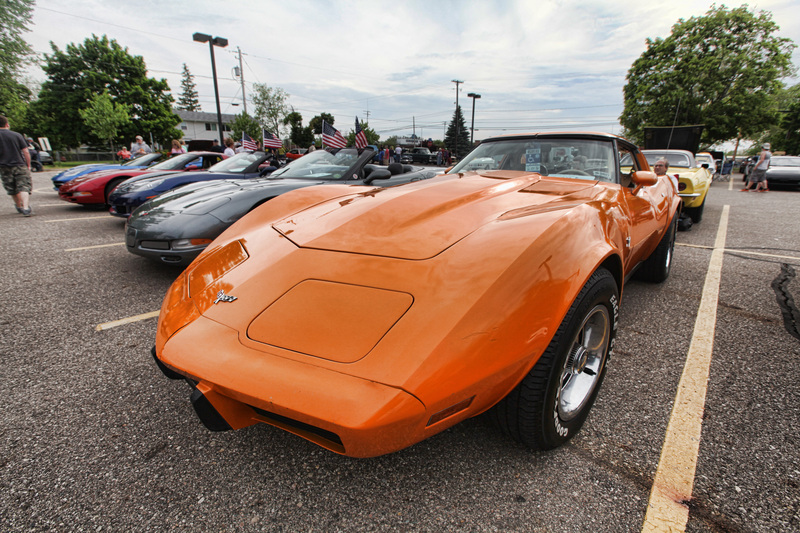 Hosted by the Capital City Corvette Club and sponsored by Sparrow PHP, the Cruizin’ for Kids Car Show was held on a chilly evening on May 19, but the cars were hot, so no one cared. 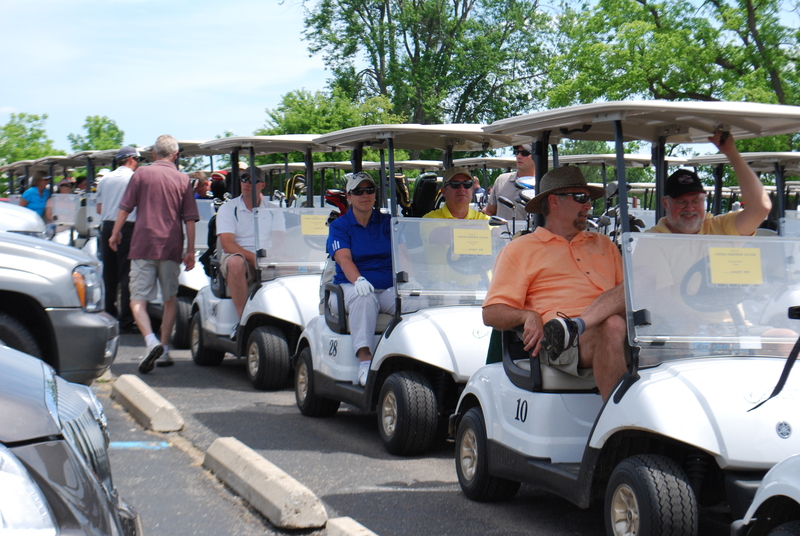 The weather was gorgeous for this June 6 event at Centennial Acres Golf Course in Sunfield, Michigan, hosted by the Caring Neighbor Foundation as a fundraiser for Blessings in a Backpack Grand Ledge. Thanks to all of our sponsors for the event: Stanley Koks Foundation (major sponsor); The Willow Ridge PTO, Neff PTO, Dart Bank, and Wolverine Water Treatment Corp. (hole sponsors); Dr. Scott Stevenson, DDS (scorecard sponsor); and The Caring Neighbor Foundation (cart sponsor). Blessings in a Backpack Grand Ledge is now in its third year of operation, providing weekend food to children who are at risk for food insecurity during the school year in the Grand Ledge Public Schools. A child who is considered at risk for food insecurity may have inconsistent access to food at home. Blessings in a Backpack Grand Ledge is providing weekend food to 240 children in who may be at risk for food insecurity in the 2014-15 school year. While the free and reduced lunch programs feed the impoverished children during the school week, we aim to make sure that these children are fed on the weekends by providing them with a bag of nutritious, kid-friendly food on Fridays during the school year. All children should show up to school on Mondays well fed and ready to learn. 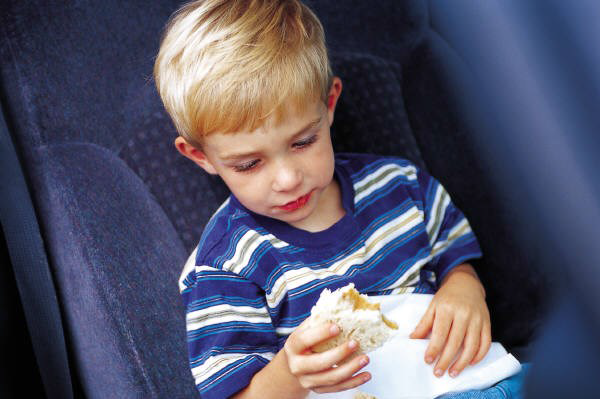 An October 20, 2014, report in JAMA Pediatrics Pediatrics found that one in four children in the US is food insecure. According to the Kids Count in Michigan data, there has been a 53% increase in the rate of children who qualified for federal food assistance between 2005-2012 in Eaton County. In a December 2013 Kids Count in Michigan news release, Jane Zehnder-Merrell director at the Michigan League for Public Policy, stated that while the recession has officially ended, the toll on children is still apparent because, as research has shown, there is a deep, lifelong impact on children who grow up in poverty due to deprivation in their early childhood years. Included in the 240 students we provide weekend food to are 16 students that the Grand Ledge High School counselors have identified as beig “couch homeless,” meaning that they live on the couches of friends and family. Principal Dawn Kennaugh at Beagle Elementary School recently discovered that 19 of her students are in transient living situations. Sadly, it was recently reported that there are 31,000 homeless students in Michigan . Thanks to donations from community members, businesses, service clubs and foundations, we have been able to fund the program again for the 2014-15 school year. In spite of some significant food cost increases, we still have a little left over to add about 15 more students to our program. If your child is enrolled in the free/reduced lunch program at school and could us some food to tide him/her over on the weekends this school year, get in touch with your school contact and ask for a permission letter that you can fill out and return. On behalf of the steering committee of Blessings in a Backpack Grand Ledge, we wish you a Happy Holiday season. Blessings in a Backpack Grand Ledge is grateful for all the community members, groups, clubs, churches, sponsors and grantors who chipped in with time and/or money to make our program happen during the 2013-14 school year. Thanks to their contributions, we were able to provide approximately 8,640 bags of food on the weekends to the children who needed a little something extra to tide them over on the weekends. While we try to thank everyone publicly throughout the year on our Facebook page and through letters to the editor in the Grand Ledge Independent, sometimes it is important to say it all in one place so that everyone can see what a community-wide effort it takes to make this program a success. We can’t say thanks enough! How do we get the groceries to the packing site, and how do those bins show up at the schools? Lots of behind the scenes volunteers, that’s how. Rain, sleet or snow (and there was a lot of the latter this year), the groceries were picked up every month and delivered to the packing site, and the bins of weekend food bags were delivered to the schools for distribution. -The Grand Ledge Lion’s Club (coordinated by Dave Peake) who pick up the grocery orders every month, and who also help with the distributions to some of the schools (Grand Ledge High School, Beagle, Neff Kindergarten Center). -The Wacousta Lion’s Club (coordinated by Johnny Maahs) who pick up the bins of bags every week and deliver them to Wacousta Elementary. -Erin Zulewski, of the Willow Ridge PTO, who picks up and distributes the bags for Willow Ridge. -The City of Grand Ledge employees (coordinated by City Councilman Rick Lantz) who eagerly signed on this year to take over the distribution of the bags to a new school that we added on this year, Holbrook Early Childhood Education Center. -The Beagle Distribution Team (coordinated by Reshay Tanasse) who handles the Friday distributions at Beagle. -Pat Huhn, who delivers to St. Michael. Program Sponsors – 2013-14 – We Couldn’t Do It Without You! We had two successful fundraising events this year, and all the people that made them happen deserve a big round of applause! -The Cruizin’ for Kids Car Show: Thanks to event sponsor PHP Family Care, and our hosts – the Capital City Corvette Club (CCCC). Thanks to Principal Dave Averill (also a CCCC member), Sandy Bechtel (CCCC) and Gloria Reiffer (CCCC and PHP Family Care) for all the effort that went into putting on this fun event. Thanks to the staff at Neff and the PTO for their support and help, too. Also thanks to the steering committee volunteers, relatives and spouses: Deb Peake, Annette & George Ryan, Jean & Mike Folk, Ron Erskine, Bonnie Bucqueroux, and Chris Richardson-Beagle & Mark Beagle for their feet-on-the-ground help that we needed to manage such an ambitious event. -Caring Neighbor Foundation Golf Outing: The Caring Neighbor Foundation (CNF) hosted this event as a fundraiser for Blessings in a Backpack Grand Ledge. Thanks to Richard Currier and Chris Richardson-Beagle from the CNF (and incoming chair of BIABGL), who along with Deb Peake from BIABGL, worked together to make this a successful event. Thanks to Steve and Diane Peake, Jeanne Pearl-Wright, and all the golfers who signed up to play on that gorgeous day for making the event a great one. From the donation of our packing site by the superintendent, to the secretary who discreetly slips a bag of food into a backpack on Friday afternoons, the Grand Ledge Public School staff plays a huge role in making sure that the kids are signed up for the program and that the bags get into their hands. We can’t thank you enough for caring about the children in your schools in this and many other ways. A special thank you goes out to Editor Barb Modrack of the Grand Ledge Independent who is an unsung hero to the charities in Grand Ledge. If it weren’t for her willingness to inform the public about the needs in our community, the work of charities such as Blessings in a Backpack Grand Ledge would be impossible. PTOs and PTAs – We Are Grateful For Your Support! The PTO and PTA organizations in the schools work to support us in many ways, such as volunteering to pack the bags. And this past year, the Willow Ridge PTA donated the proceeds of the popcorn sales for their Family Fun Night to Blessings in a Backpack Grand Ledge. Thanks to the Blessings in a Backpack Grand Ledge Steering Committee for taking time out of their busy evenings to attend meetings and help us make the important decisions for our program. While many of the members take on leadership roles that require a significant commitment of time, others take on functions that they have special talents for, such as letter writing or doing the art work. Thank you so much for everything! You are truly the backbone of our effort. Note: The web master is fearful that she missed someone who provided a significant contribution of time or money, and would be grateful for an email or call if she has mistakenly done so. Contact: Tina Erskine at tinaerskine@gmail.com / 517-372-3437. Blessings in a Backpack Grand Ledge began providing bags of nutritious, kid friendly food on weekends to needy children in the Early Childhood/Preschool Program at Holbrook School on November 8. Research shows a positive correlation between intelligence and behavior with good nutrition in early childhood. We also provide food to children at-risk for food insecurity on the weekends to the children at Beagle, Delta Center, Neff, Wacousta, St. Michael and Willow Ridge elementary schools. The homeless students in the Grand Ledge High School are also served by our program. September 13: Permission letters go home in elementary students’ Friday Folders. If your child qualifies for the free- or reduced-lunch program, he/she qualifies for Blessings in A Backpack and can receive a bag a of supplemental food on Fridays to tide them over on the weekends. September 20: Permission letters must be returned to school office. October 4: First bags go home with the students! Middle and high school students should inquire at their school counseling office to sign up for the supplemental weekend food. If you have any questions, please call Tina Erskine at 517-372-3437, or contact your school secretary or the school counseling office.